As many people who are neurodiverse I also have added issues, called Twice-Exceptionality, meaning people who are more able having a co-morbid condition for example a learning difficulty as dyslexia as well. I picked up reading before primary school. No hot housing involved. It was just trial and error. Being in a challenging situation in a foster home I was in desperate need to escape reality and words were a very interesting puzzle, that I didn’t manage to decode. It was utterly frustrating, deeply humiliating, one of the other children in the house pointed out to me as it was really easy for her, and I felt determined to find a way to open up the mystery. In my mind I made a picture of each word and as soon I understood the meaning I would connect it with either an experience, or a feeling, sensation or smell, or altogether and put it in a tiny tiny box with the word on it. For example in the box with the word ‘house’ was the smell of my grandmother’s house, a picture of the big chair in my mom’s living room and the physical sensation of being curled up on the sofa and feeling safe. I compensated for my dyslexia with my facial spatial and kinetic ability combined with creativity. It served me well until I had to do exams, which I failed miserably unless they were oral. Leaving me absolutely flabbergasted, as my teachers, to why I didn’t achieve better. The first book that really captured my attention and taught me many words was ‘the Little House on the Prairie’, ideal to completely disappear into, although at first of course I didn’t understand many words. But it didn’t matter as the feel was most important to me, the togetherness, the simple way of living, the determination to overcome all adversity, and the clarity and love present between the family members. I was so happy when I discovered that it was a series of books. Later in my life I re read all the books in the series to my children with the same joy and pleasure as I experienced as a child, while we were following their travels on the map of America and looking up everything we didn’t really understand. When I started primary school in the first year, the teacher asked me to spell AAP ( monkey in Dutch), and I spelled it in the adult way, AAP as my mother did if I ever asked her something. “Wrong” she exclaimed loudly and showed me how I had to spell in the phonetic way, pushing out sounds with air. I couldn’t make sense of it at all and I felt absolutely lost in school and never dared to put up my hand again. Many more able and high able children compensate for their leaning difficulties with their above average other abilities. Meaning nobody notices their learning difficulties, until they have to do something stressful and they don’t manage anymore to compensate because of the stress, e.g. exams as was the case in my situation. Or sometimes their learning difficulties are purely seen by educational professionals and even family members as just plain lazy,which isn’t really helpful. Wanting to make this website as enjoyable as we can for people who are dyslexic, besides adding a lot of pictures and other visual clues, I thought it would be great to have an easy to read website, so I contacted Christian Boer, who is dyslectic himself and designed the Dyslexie Font * . If you read Christian’s story it is clear he is a also a twice-exceptional, who managed very well to hide his dyslexia, causing him to study at a lower level than he could have, while using his ability to compensate for his learning difficulties. 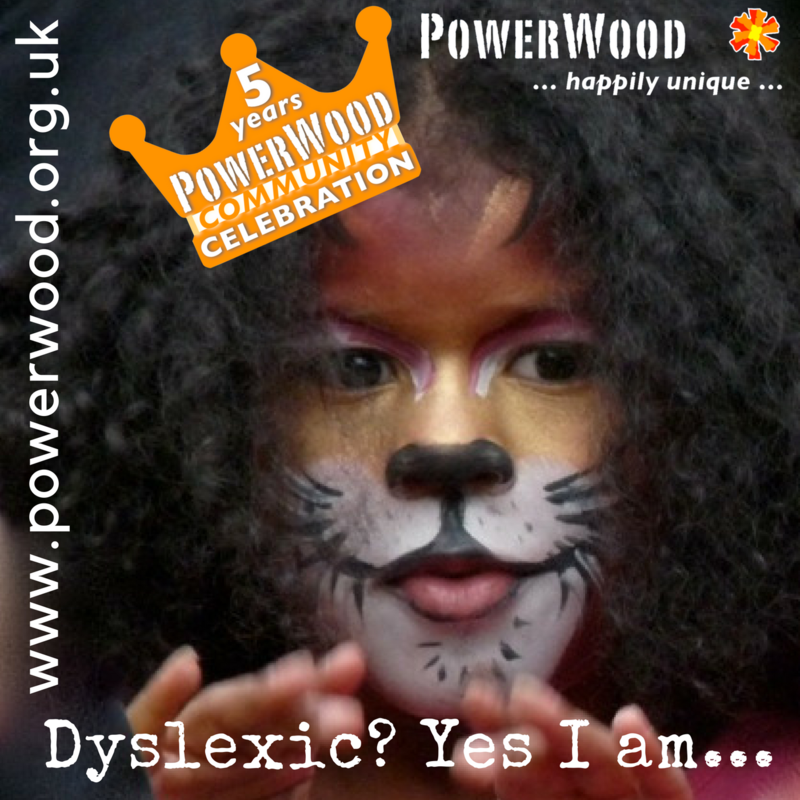 PowerWood is awarded with the free use of this easy reading letter type for dyslectic people. Dyslexie font is a special font developed and designed for people with dyslexia to make reading, learning and working easier – and more fun. With some innovative products we clear the way through the digital letter landscape, making it accessible for everyone. See for yourself on our website!